we've got two new neighbors, and this is the lady of the house. 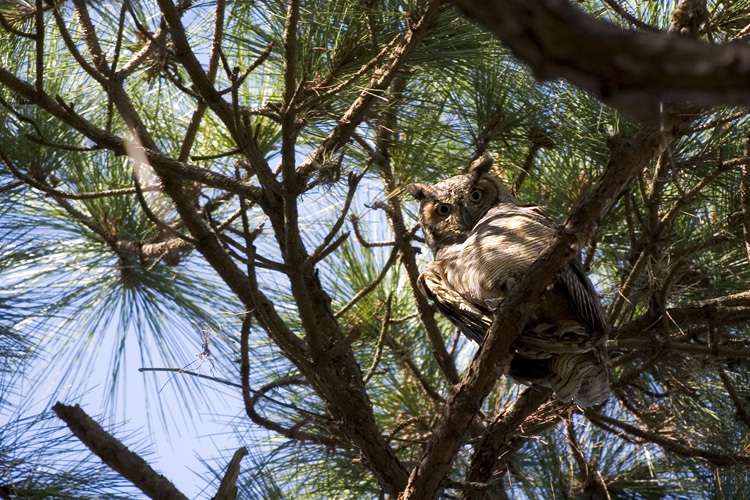 a pair of great horned owls live in the treetops on my block. there's been a ton of development in the area and i suspect that they were driven out of their home... it's a shame. i'm glad they've chosen my street as their new residence, 'cause their hoots are enchanting. these birds are amazing.